It was a wiseguy lesson in street-corner economics, a how-to-succeed-in-business speech that you won't hear at the Wharton School. Reputed mob soldier Anthony Nicodemo was explaining about the "sharks" and the "lions" and the "lambs" to bookmaker Andrew Micali, who was running an illegal multimillion-dollar sports-betting operation out of the poker room of the Borgata Hotel Casino & Spa in Atlantic City. Nicodemo, 36, "exercised leadership authority" over the $60 million betting enterprise, according to New Jersey authorities who used the secretly recorded 13-minute conversation to support that allegation in a gambling indictment. He faces sentencing this week for his role in the operation. "I'm always in your corner, so you don't have to worry about no sharks at all," said Nicodemo, apparently referring to unnamed individuals who were trying to get a piece of Micali's action. "You don't have to worry about no one. Anyone comes up, it could be . . . John Gotti's son could come up to ya, anybody. I don't give a -." His voice rising, Nicodemo then told Micali to contact him at his real estate office on Federal Street in South Philadelphia if anyone caused a problem. "Anyone in . . . the world's atmosphere comes up to you, come to 1246 Federal St."
The conversation was recorded March 5, 2007, as part of a New Jersey State Police investigation dubbed Operation High Roller. Investigators used court-authorized wiretaps to record hundreds of conversations during the 20-month probe. Last April, 24 defendants, including Nicodemo and Micali, were indicted on gambling, money-laundering, and loan-sharking charges. Most have pleaded guilty. In February, Micali, 33, and Jack Buscemi Jr., 51, the leaders of the operation, were sentenced to five years in prison. Nicodemo, who has pleaded guilty to a gambling conspiracy charge, is to appear Thursday before Atlantic County Superior Court Judge Michael Donio. He could get up to three years in prison. Authorities are expected to point to the conversation with Micali to argue that the bookmaking ring was tied to the mob and that Nicodemo was the organization's point man. The investigation also has shed light on an ongoing FBI investigation that is believed to target Nicodemo and reputed South Philadelphia mob boss Joseph "Uncle Joe" Ligambi. A State Police affidavit in the Borgata case states that the FBI considers Nicodemo a "prime suspect" in the gangland murder of John "Johnny Gongs" Casasanto in 2003. It is one of three unsolved mob hits included in an ongoing FBI racketeering probe. The phone call also provided an underworld perspective on the never-ending game of cat-and-mouse that pits law enforcement against wiseguys and their associates. At one point, Nicodemo referred to an investigation in Delaware County that had targeted bookmaker Nicholas "Nicky the Hat" Cimino. Law enforcement, Nicodemo told Micali, was building cases around the fringes of the organization because it was unable to get at "the whales," an apparent reference to Ligambi and the other reputed leaders of the crime family. "Everything's been so quiet, that . . . the real whales that they want, they can't get," he said. "If you notice, they're bothering a lot of fringe people. Nicky from Delaware County's in trouble." Last summer, Cimino and a dozen others were arrested in Operation Delco Nostra, a Pennsylvania State Police investigation into a mob-linked gambling ring in Delaware County. Another prime target of that probe was Louis "Bent Finger Lou" Monacello. 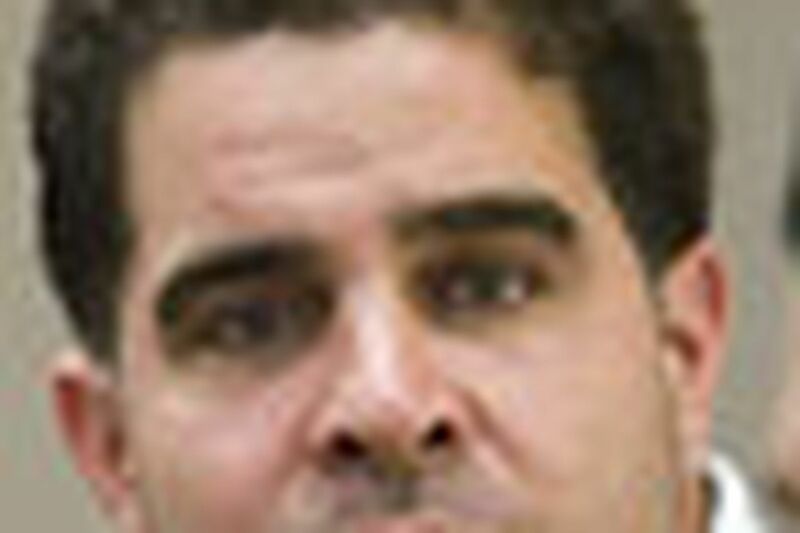 Monacello is a close associate of jailed mobster George Borgesi, Ligambi's nephew. "They're bothering the fringe people," Nicodemo said in the conversation that took place more than a year before those arrests. "That's who they're starting to torture." Because of technical problems, the taped phone call only captured Nicodemo. Micali's voice was not picked up. Investigators, however, had little trouble reading between the lines as Nicodemo counseled Micali to "tone down" his flashy appearance and free-wheeling style because it might attract law enforcement's attention and it sparked jealousy among other mobsters who wanted to get their hooks into his business. "Tone it down a little bit," Nicodemo told Micali. "The people that we always talk about, they're going back and they're throwing bait into the ocean and telling the sharks things like, 'Ooooh, this guy did this.' . . . They're throwing jealousy and innuendo. . . . 'Oooh, you should see the piles of money they got in front of them when they play cards.' . . . So, you go play with lesser chips." Then Nicodemo offered a lesson about the underworld's haves and have-nots. "Like I always say, the lions are on top of the hill and the lambs are down in the valley," he said. "When the lions got meat and the lambs got meat, everything's fine and dandy. When the lambs got meat and the lion's up there on the hill and he don't have nothin', what's gonna happen?" Things had changed in the underworld, Nicodemo told Micali. "Back 30 years ago, all the lions were fully fed," he said. "They didn't care about the lambs, you know what I mean? Today, the lions are starving." Micali should stop wearing "diamonds on your neck" in the poker room, Nicodemo counseled. And it would be smarter if he drove his Honda to the casino, he said. Authorities said Micali spent several hours each day in the poker lounge taking bets and collecting from or paying off customers. He usually drove from his condo in Ventnor to the Borgata in his $130,000 Mercedes. Nicodemo again emphasized that he would back up Micali in any dispute. "Ya ever have a problem . . . come and see me. . . . I don't care if it's . . . Carlo Gambino's son. . . . Don't worry about none of that stuff." He told Micali that everyone knew he was "doing the right thing." That was a reference, law enforcement believed, to the fact that Micali was working with organized-crime figures in his business. Then, in what investigators interpreted as an offer to expand that relationship, Nicodemo told Micali that if he would "tone it down . . . they're going to want you to do more of the right thing. You understand what I mean?" Contact staff writer George Anastasia at 856-779-3846 or ganastasia@phillynews.com.